What started as a small group of friends back in 1953 in the living room of David Moncrief, watching the Academy Awards, The Diana Foundation has become the oldest continuously active gay organization in the country. Because of our members' commitment to one another, our success in creating long-lasting social and philanthropic events continues still today. 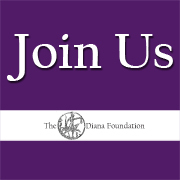 The Diana Foundation is an exclusive organization comprised of just 100 members. If you are interested in joining, download our application using the link provided. For additional information or general questions, please contact Steve Bretthauer, our Membership Chair, and or email The Diana Foundation. Click on the icon above or here for our online application.